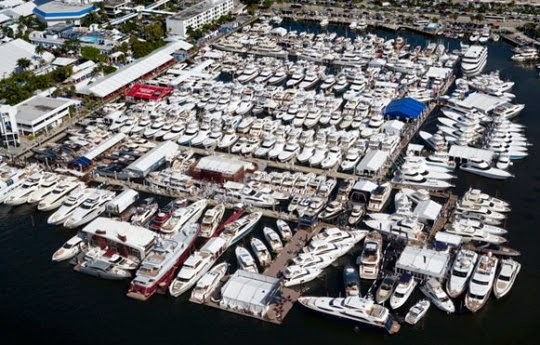 Fort Lauderdale, Florida, the "Yachting Capital of the World" will host the 55th International Boat Show from Thursday October 30 up to Monday third November 2014. Show exhibits range from yacht builders and designers to exotic cars and brokerage yachts. A wide variety of boats and sea vessels will be on display including runabouts, sportfishers, high performance boats, center consoles, cabin cruisers, flats boats, skiffs, express cruisers, sailing yachts, motor yachts, bowriders, catamarans, ski boats, jet boats, trawlers, inflatables, canoes, and extraordinary superyachts. Covering seven locations and over three million square feet of space, the show's transportation network of bus shuttles, water taxis, and riverboats ensures attendees can easily navigate the boat show and its expansive waterways system. A lot of new models in Fort Lauderdale which shows that the current US market is very active indeed. Here is some of the World first at Fort Lauderdale; Benetti 140 Veloce, Hatteras 45 Express and GT70, Sea Ray 470 Sundancer, L570 and L650, Tiara 44 Coupe and 50 Flybridge, and Viking 52 ST, 70 Motor Yacht and 92 Convertible. In recent years Queens Yachts has been establishing itself as a prominent Italian boat builder, ready to compete in the International market. Designed as the 50 Sport Fly by TDF from Milan, the Queens 50 HT follows on the foot-steps of its sister offering a more sports fully enclosed hard top line. 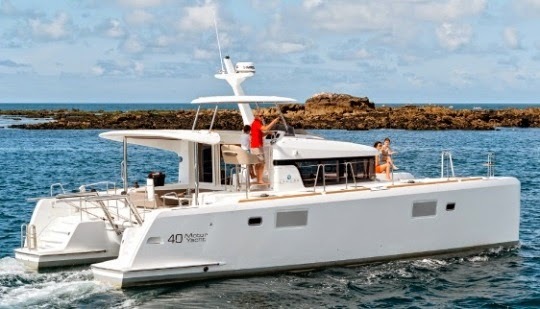 The layout of the 50 HT is the same as that of the 50 Sport Fly sister; three double cabins with two shower heads, which includes a full beam owners room and no bunk berths in the third cabin. The main deck of the Queens Yachts 50 also features the much appreciated astern galley with a C-shaped sofa which transform to a dinette come diner time. Power options of the Queens 50 HT are standard twin Volvo 435hp engines with IPS pod drives, or optional shaft driven Cat 575hp engines. With specifications finalized, Jarrett Bay Boatworks announces the start of construction on their newest and largest custom sportfish. Upon a projected spring 2017 delivery, hull 62 will span 90 feet and represent the next evolution in offshore battle wagon performance and comfort, designed to tackle the remote fisheries of the world in ultimate style. Working with a customer armed with a knowledge of boats, high tech engineering, and a passion to competitively fish anywhere, the mandate was simple: to use state of the art materials, design, and electronics to create the ultimate sportfish boat. In putting together the team, Jarrett Bay has included firms from Michigan, Rhode Island, Florida, Washington and of course North Carolina. 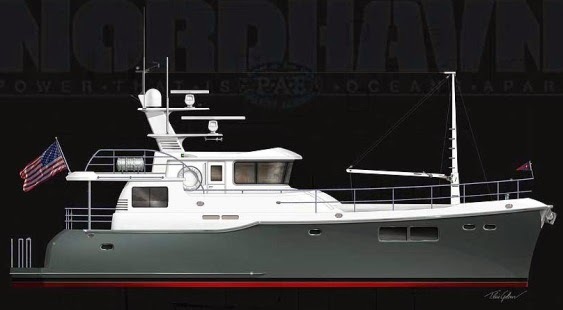 Looking to make use of the latest innovations in building techniques to maximize strength, speed and overall quality, the Jarrett Bay 90 will feature substantial use of titanium and carbon fiber composites, including a carbon fiber bridge, cabin, decks and stringer system. To ensure maximum performance and optimize the signature Jarrett Bay ride, extensive virtual tank testing, actual in-water tank testing, a detailed weight study both initial and during the build, as well as composite testing are notable aspects of this build’s design process. Thanks to substantial weight reduction and increased structural strength, the end product will boast reduced loads, making the boat easier to handle and fuel efficient, all while yielding increased range and greater shear strength. Accommodation side the Jarrett Bay 90 Sportfisherman will feature six cabins and five shower heads, with the owners room being in a full beam midships plan. 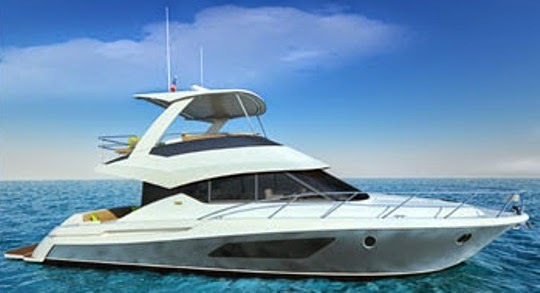 Power for the new Jarrett Bay 90 feet flagship will come from tein 2600hp MTU engines. In the class of sport cruisers below fifteen meters Bavaria presents another new project from their Sport-line: the 450 new flagship of the motor yacht fleet at Bavaria, which has been in project for almost a year with the product management taking time to analyze customer requirements and to incorporate the experiences of its worldwide dealer network in this new concept. In addition the Sport 450 will be available in four versions; Open, Hard Top, Soft Top and a Coupe version will be presented later on. For the styling lines of the new Sport 450, continues the recent marriage which started from the Virtess 42 with Italian designer Marco Casali and his team at Too Design. The Hull form the knowledge of Naval Architects of Insenaval SL can be seen, and stylistic details come from the hands of the design team at Bavaria in collaboration with the designers at Design Unlimited. The cockpit area on the Sport 450 has been designed with improved ergonomic shapes on the dashboard at the helm with a logical layout of the instruments and control panels. Perfect seating comfort with a 360-degree view of the entire Sport 450 make driving the boat very easy for the driver. Behind the helm you will find a wet bar, which can be optionally upgraded with a grill, a freezer and refrigerator. On the port side, everything is designed for relaxation and enjoyment in the cockpit. In addition to the excellent passenger seating, the sunbathing area is in the right place for relaxed hours including a perfect view when traveling at speed. On the large cockpit table there is enough space to seat eight to ten friends and guests for dinner. Among the large and comfortable lounge area on the rear of the Sport 450 is a dinghy garage or alternatively storage space for everything you need. The Sport 450 is available in a two or three cabins version. The luxurious master cabin in the bow is the same in both versions and offers a King Size bed format and an en-suite shower head. Complete luxury is also found in the midships located VIP room in the two-cabin version, which is also fitted with an en-suite shower head. In the three cabin version, two spacious cabins take the space of hte full beam midships room and offer a six berths sleeping capacity. 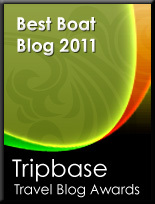 An extra two berths can also be found if the lower table option is chosen in the lower dinette. The engines for the Bavaria 450 Sport are twin Volvo 370, 400, and 435hp. This last option available only with IPS pod drives. 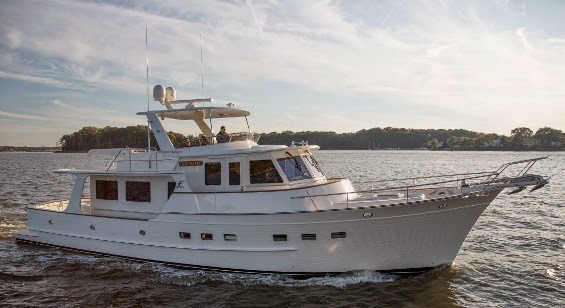 Fleming 58, is an important new model for the conservative yacht builder which also celebrates the quarter century of operation of the American operated China builder. Designed by Norman Wright and Son from Brisbane Australia the 58 brings to Fleming the long asked feature in a smaller model that is not the 65, of a full beam owners stateroom. 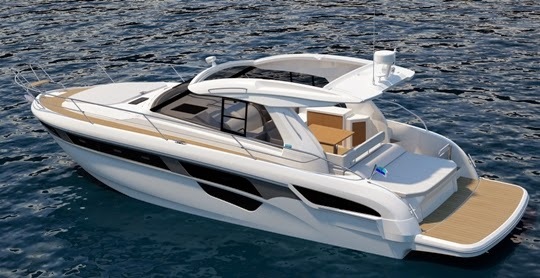 The 58 will come with a three cabin layout, with choice to have a double berth to fore, or a twin Vee berth. The full beam midships located owners stateroom of the 58 will feature an en-suite shower head, and a walk-in wardrobe to starboard. The living is all located on the main deck, which will feature saloon and galley below, with two steps up leading to the pilot-house and an L-shape passenger dinette. Tender stowage will be on the fly-bridge which will feature double access stairs; from the aft deck, and from the pilot house. 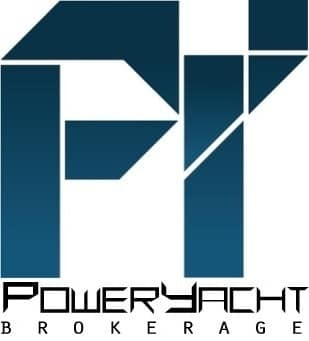 Power will be twin Cummins 500hp engines which should give top speeds of 20 knots. In close cooperation with Omega Design and Van Oossanen Naval Architects ISA Yachts has developed a 44 meter all aluminium fast displacement yacht called the Yara, Brazilian word for water lady. ISA came up for this new project with a few imporant notes; top speed of 24 knots possible up to 30 with optional engines, 3900 nautical miles range at 13 knots, and a Bahamas friendly less then seven feet draft. The 44 Yara will offer a unique layout with large outdoor entertainment on the main deck creating 50% more usable space than traditional layouts. Optimized for the modern yachting lifestyle. The 44 Yara will also feature a new patented fast displacement hull form combining the efficiency and comfort of a displacement yacht with the speed of a semi-displacement yacht. Based on the same engineering, there is also a 48 meter version under development. The accommodation plan is for four guests below; two VIP and two twins, and an owners stateroom on the main deck. the 44 Yara will also impress in its crew accommodation which will be MCA certified and among the biggest in its size. 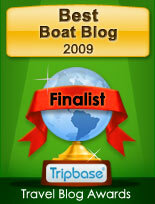 Novamarine a famous brand in the inflatable and rib category, presents its new World wide web showroom. 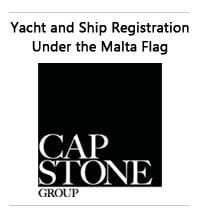 Novamarine was in 2013 acquired by a famous Sardinia yacht brokerage, dealer, and services firm; SNO. Having past the last ten years in turbulent economic waters, this new purchase will be encouraging for Novamarine which is an important name who characterized most of the developments of the inflatable boat, which at the time where important innovations. From the rib, to the jet tender, and going to the materials used Novamarine was the prime innovator. Currently Novamarine is offering an eleven model product range divided into three series; Black Shive, Professional, and Tender. The line starts with the 45 Tender FB, and ends up with the 220 Black Shiver Jet. Novamarine new website is available in Italian and English language and takes you around with the following buttons; Home, Range, Advantages, Special Projects, Service, Media, and Contact Us. Heesen is proud to announce the launch of YN 17042, on Friday 29th August, at their facility in Oss. During a private ceremony the Owner christened his new vessel M/Y Alive. Equipped with under water foil, technically called Hull Vane YN 17042 represents a dramatic advancement in performance. The sub-sea wing harnesses waves to produce power; this combined with the fast displacement hull and conventional diesel engines produce remarkable results. 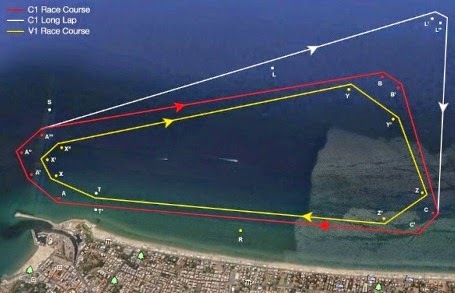 This has been proven during independent research conducted by Van Oossanen Naval Architects at two of the world’s most respected hydrodynamic laboratories: Wolfson Unit and Marin. The new Heesen 42 meter is 35 per cent more efficient than any other yacht of her size and 35 per cent less power is needed to produce almost 16 knots top speed in flat sea conditions. In seas with up to two meter waves, rather than hindering her performance, the yacht’s Hull Vane technology converts the movement and generates 20 per cent more thrust and comfort is improved as the pitching is reduced by 40 per cent. 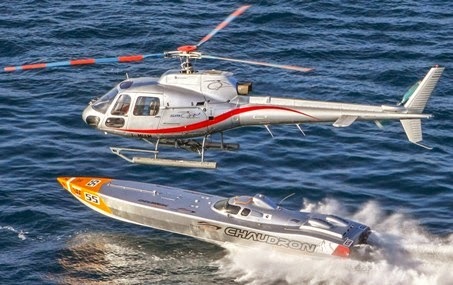 Like an aircraft, as the yacht moves through water, the wing produces lift. This patented Hull Vane technology converts this movement into thrust. YN 17042 allows her Owner to prioritize economy and speed. With an exceptional range of 4.000 nautical miles, over 750 miles come free of charge thanks to her remarkably frugal fuel consumption that is 30 per cent less than on a conventional displacement yacht. The bold exterior lines of M/Y Alive have been created by Frank Laupman from Omega Architects, who is also responsible for her interior design. Laupman has created a new bow design that combines a lower hull profile, and matches sea keeping behavior with a relatively short overall length. YN 17042 can accommodate up to twelve guests in the outdoor and indoor convivial areas. The 45 square metre open sun deck is perfect for relaxation throughout the day. The yacht boasts two large suites: the first traditionally located on the main deck forward, and the second one on the wheelhouse deck. The latter is a spectacular circular room with a centred king size bed, ensuite bathroom, dressing room and gymnasium. The central positioning of the bed allows stunning, uninterrupted views of the sea thanks to floor-to-ceiling glass windows. The 30 square metre aft terrace is equipped with a breakfast table and lounge seats, completing the functionality of the Owner’s deck. Its a new project from Atlantis, the new 43 which will replace the 44 in the entry more young brand of the Azimut-Benetti Group. Designed by the team of NeoDesign the Atlantis 43 strikes most of the competition for having one of the most functional cockpits in its size. Look at the L-shaped galley wet-bar and it is difficult to believe to be found on a sport cruiser measuring just thirteen meters. Extendable sun-pad aft, and a forward looking passenger seat to port side of the helm station which becomes a chaise lounge are also other interesting traits. Below the spaciousness continues and the 43 surprises for a spacious L-shape galley located to starboard of the entrance stairs. Two cabins are available for guests; owners room to fore and a twin / three berth guest room amidships. The midships cabin two single berths, can also become on the occasion a double berth. Engines will be twin Volvo 400hp with stern drive propulsion and an estimated top speed of 33 knots. Victory and Chaudron top the standings in the UIM C1 and V1 World and European Championships and head-up a 13-strong line-up for the European title decider at this weekend’s Italian Grand Prix in Terracina. Following back-to-back wins at the Mediterranean GP in Ibiza in September Arif Al Zaffain and Nadir bin Hendi head into round 2 with a healthy 13 point margin over New Star-Poliform and Relekta-Zabo-Isiklar as they go in search of the team’s 100th chequered flag, with defending six time World Champion Al Zaffain closing in on eight time World Champion Steve Curtis’ long-standing record of 42 race wins. Italy’s Guido Cappellini will be looking to build on a very encouraging double podium in New Star-Poliform at the season-opener alongside C1 rookie Mikhail Kitashev, the first Russian competitor in C1, and at least targeting a repeat of the team’s second place in race 2 in Terracina last year. Zabo-Relekta-Isiklar’s Ugur Isik and Christian Zaborowski head there with a score to settle and looking to lay-to-rest the ghost that saw their maiden GP win literally evaporate when they ran out of fuel within sight of the chequered flag last year. In Ibiza, as is becoming increasingly typical of the Norwegian-Turkish outfits spirit, they overcame the odds that were stacking up against them after suffering two broken gearboxes, but after lengthy repairs they delivered two hard and well-earned podiums. Italian outfit Fendi Racing will run a revised line-up in their number two boat with last year’s European Championship winning duo of Miles Jennings and Alfredo Amato teaming-up for the first time this season, Amato stepping in to replace Tarik Oktem. But Jennings and Amato and the team will require a minor miracle if they are to retain the title it won in dramatic fashion last year with Jennings and Amato’s last lap win in race 2, the defending Champions heading into the weekend staring at a 31 point deficit, their teammates a further four points off the leader Victory, who look to be on course to lift an eighth European crown. Giovanni Carpitella, Fendi Racing team principal and throttleman of LFF10 alongside owner-driver Luca Fendi, has confirmed that the gremlins that side-lined LFF8-Polimersan last time out have been resolved and that the team will arrive in Terracina from their base just a stones’ throw up the road at Nautica Badino well loaded with spare parts, aiming to avoid the issues that simmered between them and their supplier after breaking a gearbox in race 1 and sitting out race 2 in Ibiza. Fendi and Carpitella proved in qualifying in Ibiza when they shared the quickest time with Victory that they have the pace and will be hoping for a trouble free run this weekend to challenge for the win. After the unfortunate first corner crash in race 2 in Ibiza Team Abu Dhabi’s newest generation MTI is repaired and will be on the start line in Terracina but the question still to be answered and 100 percent confirmed, as speculation mounts that a driver change may be on the cards, is who will be in it, the likely candidates are American aces John Tomlinson and Gary Ballough. In V1 the title race is a much tighter and intensely competitive affair with just five points separating the top three and looks to be a three-way dice between Chaudron, Karelpiu and Tommy One, all three outfits boasting World Championship pedigrees with the next four boats Aquasport, Bernico-New Star, Nassau and Silverline split by just two points. The opening races of the season delivered some impressive performances with three different manufacturers Chaudron, Fountain and Metamarine locking out the top three slots and more of the same can be expected in Terracina. But it is Malta’s triple World Champion Aaron Ciantar and French Champion Dominique Martini who hold a slender advantage and lead by two points after a third and a comprehensive start-to-finish unchallenged win last time out. They can expect to be pressed by the consistent all-Italian Karelpiu who rotated crew in Ibiza with father and son duo of Antonio and Giuseppe Schiano and Federico Montanari lining up in Terracina on the back of two podium seconds. Both Chaudron and Karelpiu know that they will more than likely have to fend off the mighty Tommy One, the powerhouse of the V1 class, sitting in third spot after Maurizio Schepici and Stefano Bonanno’s impressive win in race 1 in Ibiza. If there is a challenge to come from the chasing group of four all will have to up the ante, but it may well be the all-British pairing of Ian Blacker and Drew Langdon who could get into the mix and the only other crew to make the podium in Ibiza, but they have a 20 point deficit to overturn. The first opportunity for teams to get out on the circuit are two practice sessions on Friday, followed by qualifying and race 1 on Saturday with a second qualifying session and race 2 on Sunday. 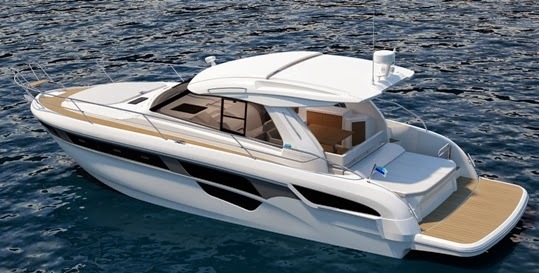 It takes a lot out of the box thinking to come with a project as the Panorama Flat Floor, this new model from Steeler re-invents the wheel how a motor boat can be done and look in today's era. The Steeler 46 Panorama Flat Floor is the first model to launch from this series, which has already a larger 53 sister under construction in Holland. The Steeler Panorama Flat Floor impresses for its 45 squared meters of single floor space, a 5500 liter air tank amidships with can provide buoyancy and make the craft unsinkable, and a vast majority of custom options. 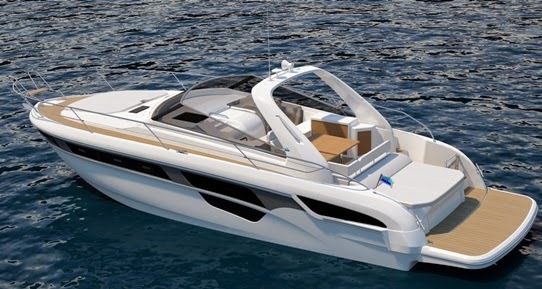 For example hull one was built of steel with a displacement hull, but the 53 currently under construction is made of alloy and will feature a more offshore type semi-displacement hull with speeds possibility of 35 knots. The Kadey-Krogen 70 project was driven by customer interest in an even more spacious raised pilothouse design with increased hospitality. For many owners, the pilothouse is not only the navigation and systems control center of their yacht but a social center as well. With an expanded U-shaped pilothouse settee, larger table and a penthouse-like view, the Krogen 70 has real game room potential for family and friends aboard. In the truly home-like galley fully equipped with full-size, top-of-the-line appliances including a six burner commercial range hob. Plus, the massive galley is open to the saloon with a breakfast bar. Opposite the galley is a wet bar with easy access from the cockpit, saloon and pilothouse. The Kadey-Krogen will feature two lower deck options; two or three double guest cabins both with owners room at midships. A choice also exist for a crew cabin aft, this featuring an utility room and direct engine room access. Two options also exist for the flybridge with the main difference a tender stowed to the beam or to the length. The 70 is the largest Kadey-Krogen model shown in its drawing board option, though the company has ongoing plans of a larger model around the 24 meters size. Broom's renowned design and expertise has led the creation of the HT, a hard top version for its acclaimed fall 2012 launched 30 Coupe. The new 30 Coupe HT keeps the aim as the more open cockpit sister to be a cruiser built to explore the inland waterways of Europe in comfort and style. The Broom 30 Coupe HT offers comprehensive access of Europe's waterways which can sometimes be restricted by low bridges and height restrictions. The 30HT offers extra protection against the elements, with its fully retractable, sliding canvas roof and bonded windscreen with opening inserts. The contemporary interior is light and airy, offering all on one level living. It features all of the quality of finish, craftsmanship and comfort you expect from a Broom boat, packaged in a practical, compact river cruiser.